PC Gamer Weekender 2017: massive giveaways today! 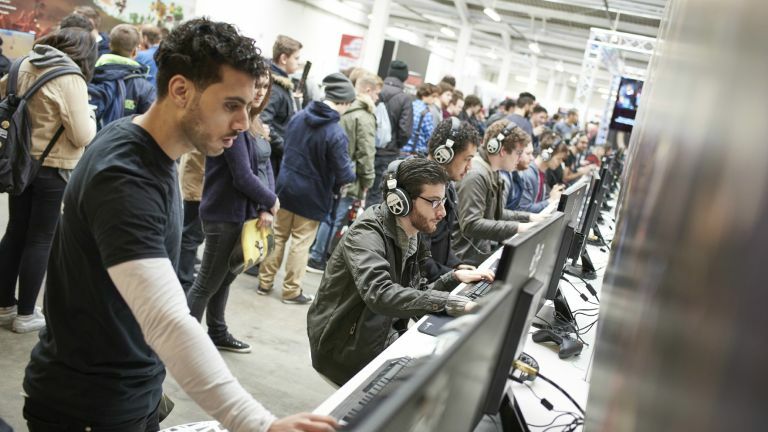 The PC Gamer Weekender 2017 is now only a few days away - taking place from February 18-19 at the London Olympia. For as little as £12.99 you'll get to spend a weekend enjoying the finest VR experiences money can buy. From 12pm GMT today (15 February) there will be a giveaway every hour featuring prizes like the Overwatch Collectors Edition, Star Wars: Destiny a year's subscription to PC Gamer magazine, £50 GAME voucher and much more. Once you have entered you will be submitted into every hourly draw following your entry. These will run from midday to midnight tonight. Loads more details about the PC Gamer Weekender 2017 played on Omen by HP are available on the show's official website, so head on over to check out all the awesome stuff taking place, as well as to order tickets. Also, be sure to follow the PC Gamer Weekender Twitter account to receive all the latest news and reveals ahead of the show. You can also check out all the games that will be at the show. The UK's largest PC gaming floor will give you first play on the latest triple A and indie games, many pre-release and exclusive. There'll also be plenty of competitive gaming and stages hosted with dev interviews and reveals. Not only will Dell and Alienware be showing off and giving away a load of top tech at the show, but there will also be an HTC Vive VR booth at the show too. These include Fantastic Contraption, the VR update of the classic building/machine sim; Job Simulator, which allows you to live out your wildest dreams of having a job (it’s great, of course); The Gallery (on Oculus Rift), the episodic Kickstarter success that channels the Goonies and Myst; Cosmic Trip, a natively VR real-time strategy game; The American Dream, ‘a samurai punk virtual reality game’; and Raw Data, an action-heavy first-person shooter set in some surreal locales.